December 2012 marks the 20th anniversary of the first text message which is now overtaken by Twitter, Facebook, Instant Messaging and so on. 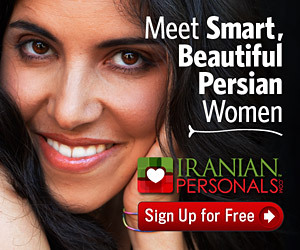 For many of us Iranians this month represents moving to another new and improved iranian.com. As we end this era I was reminded of how cool it was back when it started, or re-started I should say in 2007. The first couple of years were very emotional and people were just trampling on each other trying to say something! At first it was the Wild Wild West and as many Iranians go we used all kinds of foul and vulgar language to address one another but the Admin at the time was in the la la land calling it freedom! So the people abused the freedom like only we can! Eventually it ended and we went to first moderated comments and then to all registered comments but only deletable by the Admin. I think this stubborness had an effect on shooing people away. But those days or as it so happens these days are over. I just wanted to remember the good days. As bad and vulgar as many of those comments were, there were 10 times more entertainment and interactions for those who wanted to see the good things. I’ll never forget Hajiagha who was “fresh out of boat” and thrown in the den of lions! How he hated Canada more than anything! How he responded to people in his cartoons. How I was so trying hard to reason with him and explain him the basics of human rights and women’s equality! How we had group writings. I tried to write at least one blog a month to stay in the loop. How in 2009 we were riveted by what was going on in Iran and how people were reacting to it. How each of us spent hours, days in detailing our thoughts and experiences. In the end it was a good experience among many other experiences that we go through life. The way it was will never happen again and I can only hope the way ahead will end up being new and fun. The rest we’ll have to experience as it happens! Photo caption: bride car in Tehran.